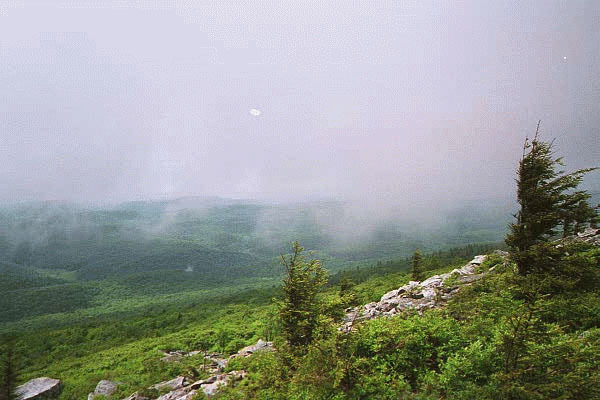 I spent a weekend in June, 1998, on top of Spruce Knob, West Viriginia. I was there to operate in a radio contest. 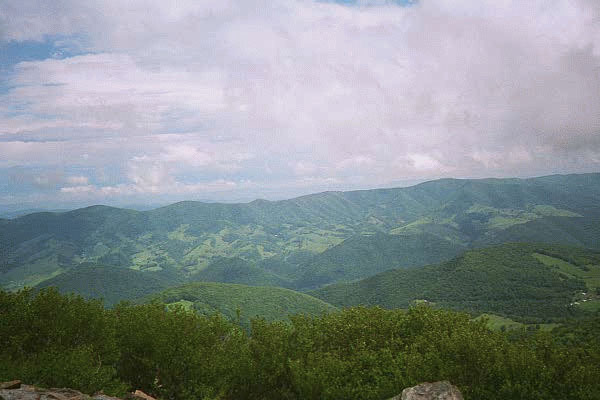 Spruce Knob is a National Recreation Area, and is the highest point in the state of West Virginia. I arrived around noon on Saturday, in pouring rain, which really made driving the last nine miles of dirt road to the summit quite exciting. It was pretty much rain, fog, mist, and cold damp for almost the entire weekend. There was a break in the clouds for about forty-five minutes or so, starting around 2:45PM on Saturday. I took advantage of the moment and went on walkabout around the summit area, when I took these photos. It was the last time we saw the sun that weekend. 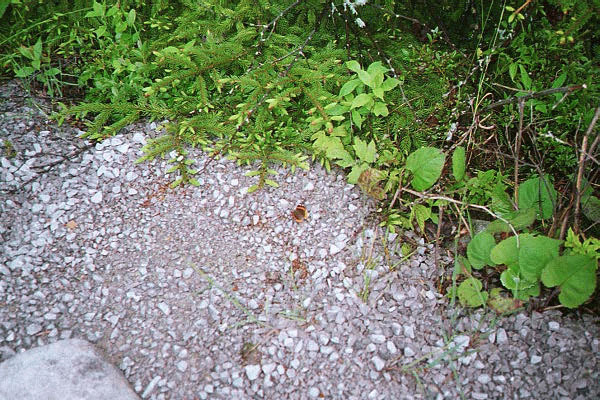 These photos are copyright (c) 1998-2003 Kenneth E. Harker. All rights reserved. From atop the observation deck at the summit. Looking north. From atop the observation deck at the summit. Looking west. Note the trees. From atop the observation deck at the summit. Looking east. More trees. From atop the observation deck at the summit. Looking south. The thing to notice here is the trees. 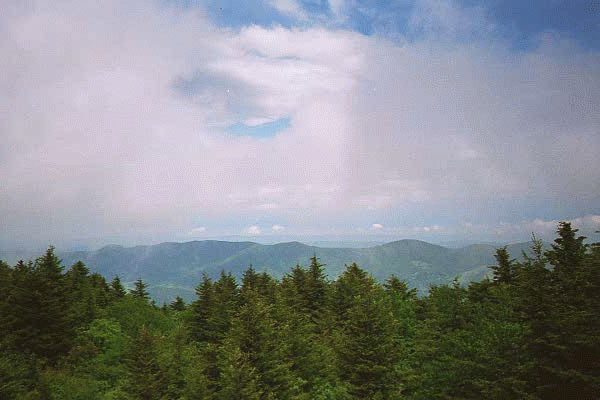 This shot was taken from along the "interpretive nature trail" that rings the summit. 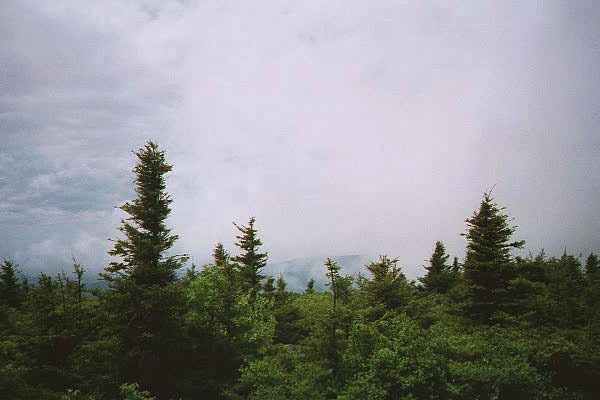 This was on the west side of the summit, as evidenced by the lone tree on the right; the prevailing west winds are strong enough to cause tree limbs to grow only on the eastern sides of the trees. I think that white dot in the middle of the frame is a UFO. 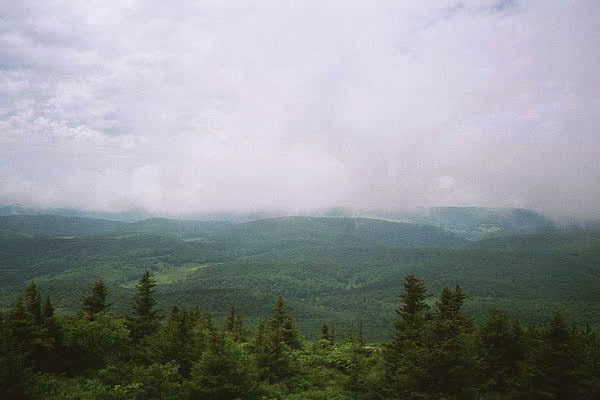 A view of the next range of mountains to the east of Spruce Knob. 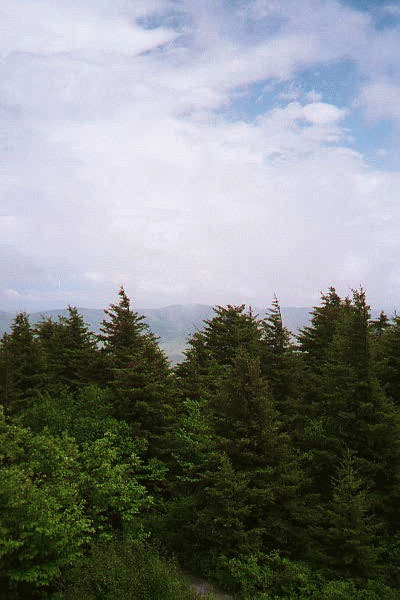 This was taken from a small wooden deck on the side of the aforementioned interpretive nature trail. 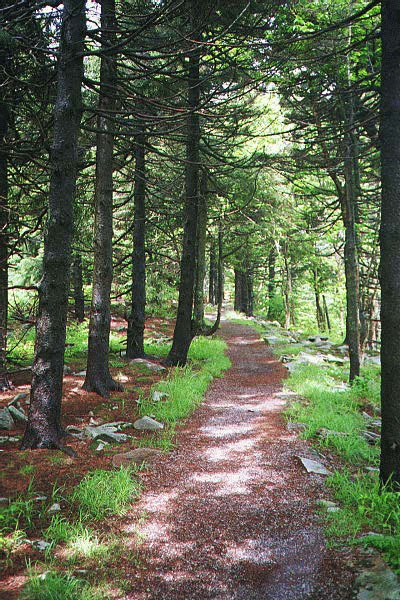 A trail through the woods at the summit of Spruce Knob. A butterfly. In real life, it was really really much bigger that it looks like here.